The Epic Fireworks DIRTY DOZEN are back in town! For the last couple of years, customers have been asking about the original Dirty Dozen so we have brought this big BAD BOY pack for the 2018 season. Packed with 12 enormous 1.3G rockets with huge sound effects, and the unique breaks of the stunning Puma, House Stark and Solar Flare to the stunning beauty of the brilliant Sky Thriller and Bang Tidy, these are a must for any display needing a WOW factor. They each have an individual effect with a loud report and fill the sky with some of the best aerial action available in the industry. All twelve of these bad boys are half the manufacturers RRP and can be likened to a shell on a stick. 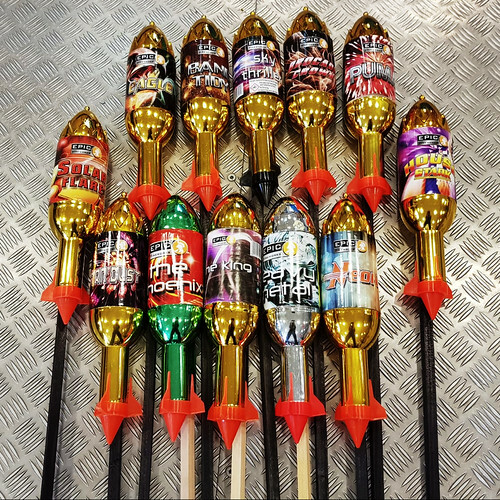 We are frequently asked a question more than any other; ‘what is the difference between 1.4g and 1.3g fireworks?’ Now, this is where it begins to get a little more complex. 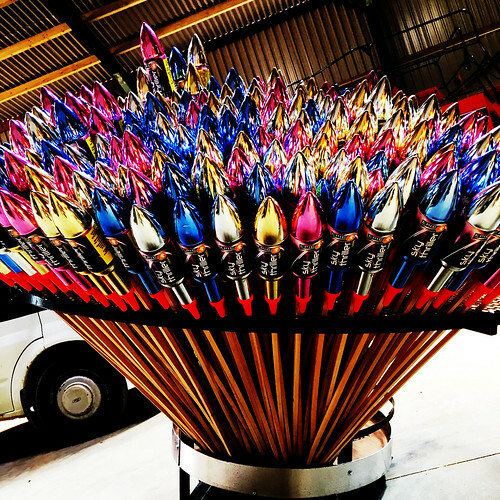 Up until 2017, all fireworks in the UK were classified under British Standard (BS) and everyone learned over the years what each of the different classes included and meant in relation to pyrotechnics. Under British Standards, there were two available to the general public; garden fireworks with a 5m safety distance and display fireworks with a 25m safety distance. Both garden fireworks and display fireworks could be classed as 1.3g or 1.4g consumer fireworks. 1.3g is the more hazardous and they will contain more explosive power than 1.4g fireworks – this can be up to 5 times more powerful. 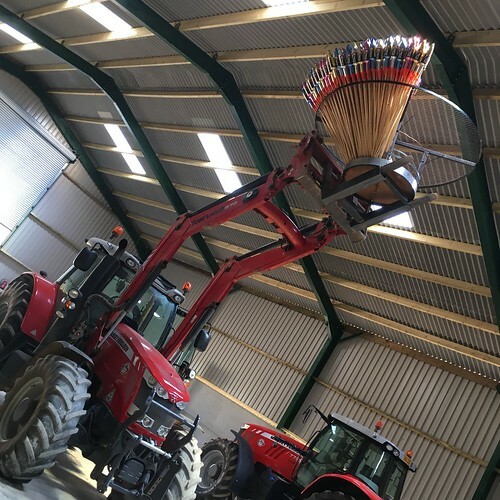 Today, the new CE standards are EU wide but there are still certain products that despite being permitted under European Law, our Health and Safety Executive decided to maintain the ban on some old favorites like aerial shells, bangers, screech rockets and of course air bombs. NEC (NET EXPLOSIVE CONTENT) – this indicates the amount of explosive content (the quality of the content is also important to remember) there is in a firework piece. For example, one of our most popular cakes weighs a total of 7.7 kilos but has a maximum explosive content of 1 kilo. Generally, the term NEC is used but some refer to it as NEM (NET EXPLOSIVE MASS) or NEQ (NET EXPLOSIVE QUANTITY). 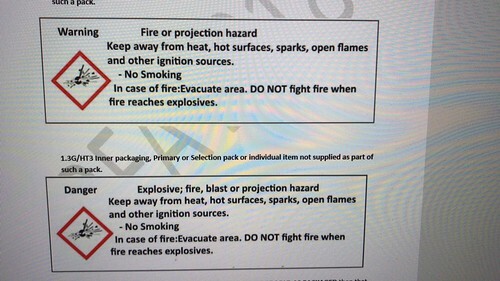 Although it is not always as apparent as some may think if you check into some of last year’s products with the 1.4g label like the 90 shot Aquarius barrage from Black Cat fireworks which is pretty, loud and at 6 kilos not a lightweight and contains 0.8 kilos of flash powder but is still classified as requiring a 25m safety distance because it is over 500g in NEC. However, when it comes to rockets, there is a huge difference and we would recommend 1.3g for decent effect rockets. Today, due mainly to the changes implemented, the maximum NEC on any single barrage is 1 kilo but this rule does not apply to compound cakes which are viewed as a number of smaller cakes which are fused together. If you are in doubt or need any assistance, please do not hesitate to get in touch as we will be only too happy to help.